Christopher Plummer says he doesn't feel like he's replacing Kevin Spacey in the upcoming Ridley Scott film "All the Money in the World" because he was up for the part when the movie was being cast. Plummer spoke briefly about the film at a Charles Dickens exhibit at the Pierpont Morgan Library on Tuesday in New York. 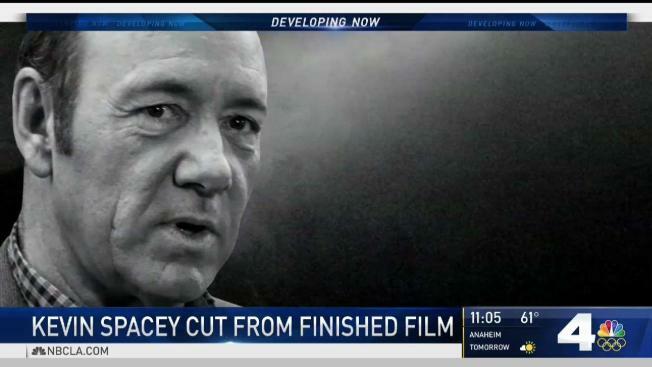 Spacey got the role as billionaire J. Paul Getty, but after a series of sexual misconduct allegations surfaced, beginning with actor Anthony Rapp's claim that Spacey tried to seduce him at age 14, the "House of Cards" star was ousted. Spacey's scenes were already shot, and with Oscar buzz already surrounding the film, it had to keep its Dec. 22 release date to remain in contention. The reshoots with Plummer begin next week, but he said he feels very little pressure. "Actually just to learn my lines, because it has to be done very quickly before they release the picture," he said. But Plummer doesn't feel that he's filling in for Spacey. "No. Not at all because we were both up for the part — the same part — months ago, so in a funny, ironic way it's coming back to me." Plummer was at the Dickens event to promote his latest film, "The Man Who Invented Christmas," the origin story of "A Christmas Carol." He plays Ebenezer Scrooge in the film.